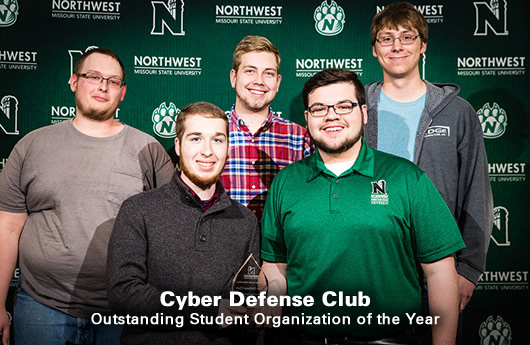 Select nominations for 2019 Northwest Awards and Recognition Ceremony are now available below. More award categories will become available after the first of the year. 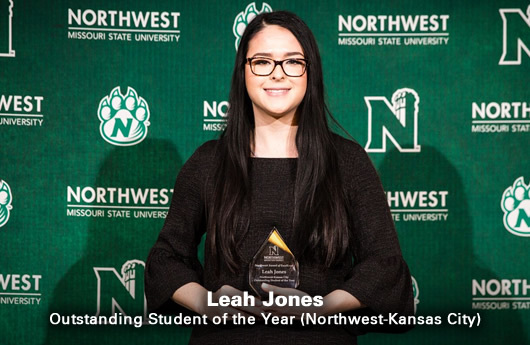 The Northwest Awards and Recognition Ceremony is a collaborative celebration to recognize excellence among Northwest students, faculty and staff. This event celebrates awards presented by Student Senate, the Office of Student Involvement, the Division of Diversity, Equity and Inclusion, Human Resources, Student Employment, the Graduate Office and B.D. Owens Library. Click on an award below for a full description and criteria. To make a nomination, click on "Submit Nomination Form." Make special note of deadlines! Please feel free to make more than one nomination (unless noted otherwise). 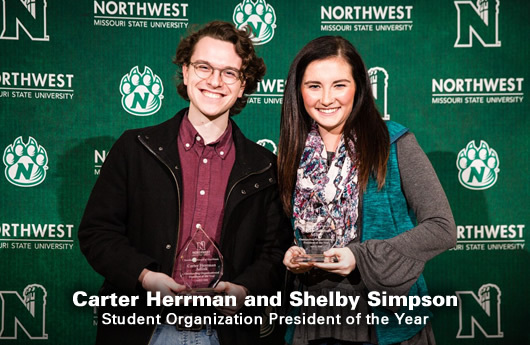 All student employment supervisors will have the opportunity to submit a nomination for Northwest Student Employee of the Year. In order to be eligible for consideration, student employees must have worked a minimum of 6 months part-time (or three months full-time), during the selection period which is from June in the prior year through May of the current year. Attributes – Provide an example that demonstrates the nominees’ greatest attributes and how these attributes enhance their contributions to the position. Expectations – Provide an example of how the nominee goes above and beyond the expectations listed in their job description. Leadership/Style – Leadership - Provide an example of how the nominee’s leadership skills, initiative or style helped to improve how your office functions. Style – Describe the quality of the nominee’s work style and how their style of work is well suited for your department. Impact – Provide an example of the positive impact the nominee has had to your department, campus or community. The deadline date for this award has passed, and no further applications are being accepted. Student employees or colleagues may nominate supervisors who work with student employees whom they feel warrant particular recognition for their performance on the job. In order to be eligible for consideration, the nominee must be a full time or part time staff/faculty employee of Northwest. The Student Employment Supervisor of the Year (SESOTY) Award Program begins at the institutional level and moves on to regional recognition. A completed nomination form (including 2 references). A formal letter of nomination completed by the nominator. In your letter, please describe the accomplishments of the nominee which you feel qualify him/her to be considered for Student Employment Supervisor of the Year recognition. Your letter of nomination must be limited to two pages. Nominations will be judged on the following characteristics: mentoring, professionalism and leadership provided to the student employee. By including information and examples about the following areas, you will likely be touching upon the selection criteria. The nominee's greatest attributes, as they relate to their supervision. How the nominee has gone above and beyond the standard work expectations as a supervisor. The quality of the nominee's work and work style. The nominee's leadership skills, initiative, and motivation. The impact the nominee has had on student employees. The qualities of the nominee that set him/her apart from other student employment supervisors. A letter of recommendation completed by a colleague or individual, other than the nominator, who may interact with the nominee and can comment on their performance on the job and how they have impacted student employees. The information you provide may be shared with the public through press releases and other promotional opportunities. Supervisors may nominate graduate assistants whom they feel warrant particular recognition for their performance on the job. To be eligible for consideration, graduate assistants must have worked a minimum of four months part-time, during the selection period which is from June in the prior year through May of the current year. Complete the electronic nomination form below and submit electronically. One letter of Nomination- letter of nomination can be submitted by another supervisor, coworker or individual who may interact with the GA, please limit this to two pages. Nominations will be judged on the following characteristics: reliability, quality of work, initiative, professionalism and uniqueness of the student’s contribution to the employer. By including information and examples about the following areas, you will likely be touching upon the selection criteria. How the nominee has gone above and beyond the standard work expectations. The quality of the nominee’s work and work style. The nominee’s leadership skills, initiative and motivation. The impact the nominee has had on your department, campus and community. The qualities of the nominee that set him/her apart from other graduate assistants. 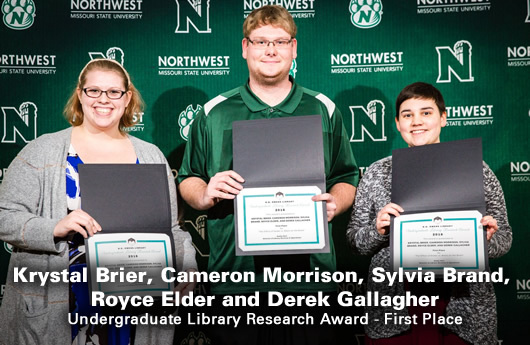 This award is designed to encourage critical thinking and reward undergraduate students for research excellence. Papers are judged by a panel of faculty and librarians based on the application of scholarly information sources to the topic; the demonstration of skillful incorporation of source content to support the paper's thesis; and a responsible use of information by providing complete and accurate citations. 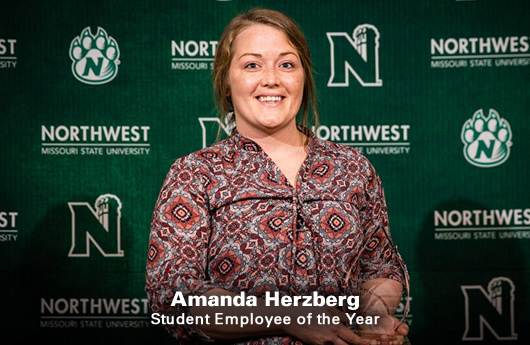 The Student Impact Award is given to honor outstanding Northwest employees. 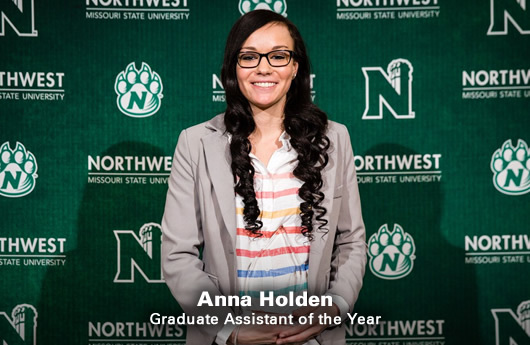 Awards are given to one faculty member and one staff member based on exceptional commitment to the mission of Northwest: Focusing on Student Success - every student, every day. 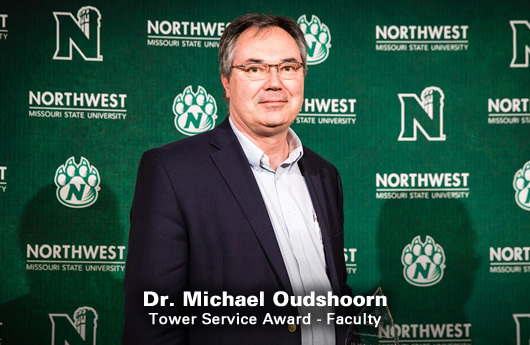 The Tower Service Award is the highest honor that Northwest can bestow on its students and employees. The Student Senate established the Tower Service Award in 1987 and is presented to individuals, advisors, and teams who demonstrate exceptional commitment to the University and its mission. Recipients are selected based on their continuing accomplishments and service to the Northwest community.